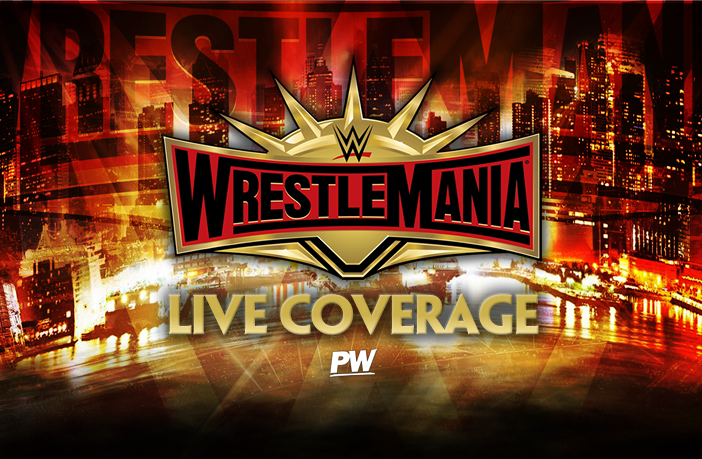 WWE WrestleMania 35 Results: Winner Take All Main Event, Several Titles Change Hands, Kofi Mania Runs Wild! Interestingly, Buddy Murphy entered first. The match starts heavy as Nese charges at Murphy and hits Murphy to the outside. He goes for a springboard but Murphy moves and Nese lands on his feet and nails Murphy with a big shot to the chin. Back in the ring, Murphy regains control and starts to stomp away on Tony Nese. He gets a headlock takeover on Nese and then holds on to the headlock, slowing down Nese. Nese tries to break free, but Murphy continuously hangs on. Nese counters and turns it into a suplex into the turnbuckle. Nese hits a spinning heel kick and takes Myrphy down. Murphy tries to come back by sending Nese to the outside, but Nese lands on the apron and then hits a springboard moonsault onto Murphy. Nese picks up Murphy and Irish whips him into the corner, but Murphy reverses. Nese tries to go up and over but Murphy catches him and plants him into the mat. Murphy picks up Nese and puts him on his shoulders and Nese counters into a reverse-rana! Both men are up now and they go for strikes both men dodge and duck before Murphy finally hits a couple of kicks. Murphy bounces off the ropes and Nese hits a BIG forearm. Nese this time bounces off the ropes and Murphy hits him with a kick. Nese hits a kick on Murphy sending him to the outside. Nese winds up and he goes up and over onto Murphy! He rolls him back in and hits a big 450 splash! He goes for the cover……..1………2…………Murphy kicks out! Nese goes for the running Nese but Murphy jumps up and he nails a high flying knee onto Nese. Murphy hits Murphy’s Law and goes for the cover…….1…………..2………Nese gets his foot on the rope! Both men get up and Nese surprises Murphy by German suplexing him into the turnbuckle. He winds up and hits the Running Nese and picks up the victory! Maria Kanellis is pretty much eliminated right away. Nikki cross is going crazy on everyone and learly eliminates Candance. Asuka saves her but then eliminates herself and then eliminates Nikki Cross. Ember Moon is here by the way, who hits a springboard Eclipse on Lana. Ember then eliminates Naomi! Ember is on fire and then hits Mandy Rose with an Eclipse off the top. Sonya grabs Ember and nearly eliminates her. Lana kicks Ember off and she eliminates her. Sarah Logan comes and she gives her a bear hug and then a headbutt. She is then eliminated by Logan. The Riott Squad is not done and they eliminate Kairi Sane. Logan begins to focus on Carmella now and she gets kicked by Zelina Vega. Liv Morgan comes in and shes taken out by Dana Brooke! Brooke also eliminates Ruby Riott. She runs at Mandy Rose and Sonya Deville eliminates Dana Brooke! Sarah Logan eliminates Mandy Rose and we are left with Sonya Deville, Asuka ,and Sarah Logan! Deville gets eliminated by Asuka and from behind Logan eliminates Asuka! Logan begins to celebrate but Carmella slides back in and apparently she was never eliminated. She comes in and eliminates Logan and picks up the victory.